Note: This is a pre-patch extraction. Any extracted data can be changed in the official patch. I will try to check with the V1.29 Client that AsiaSoft provided after I have downloaded it the official V1.30 Patch is released. Update 22/04: Official Patch released. No further change noticed. Update 23/04: Updated some extra info about the bosses and some notable events. Update 24/04: Expedition Gathering officially changed to Boss Raid Events. Note that you need to gather 1000 Expedition Master etc to get the title Expedition Commander and 100 Expedition Member etc for Special Forces title (even though the quest info states that you need 1000). Though you will get various rewards such as clean slate scroll along the way. – Event UI renamed Storm Growth Event -> Season2 Celebration. Rewards shown differ as well. – All Event End Time extended from 08:00 to 08:59. – Dimension Invade PQ activation date brought forward to 03/07 09:00. New event date/times have been reflected on the extractions. I believe all of you are aware by now that MSEA are getting KMS Luminous. A moderator in ASF has confirmed it previously. For Kaiser, MSEA is likely to receive the GMS version, this is because Wingbeat (Transfiguration) exist in the wz files. Both classes will not be receiving any changes applied during the Unlimited period in KMS. Due to the overwhelming amount of words & images, I have to split the extractions. There’s no lock in the world I can’t open. Allow me to show you! Deadwood Key can be used to open a door only once. It’s fun to play in Fantastic Theme Park. I wish Checky could play with us too… But he is busy. Look at this castle. Aren’t you excited to party in such a great place? I know it’s dusty, but you can help me. Can’t you? I’ve got so many things to do! One doesn’t become rich by being miserly! Reading the market will win you more than any half-cooked get-rich-quick scheme. Good day. I’m Gold Richie, international trader. Good day. The wind is blowing from the north today. It’s a good day for my merchant vessel to set sail. Hello there! Are you having a fantastic time? Welcome to Fantastic Theme Park. I hope you have fun in here. Shh! Lower your voice meow! Someone might be watching us meow! My code name is “E”. I can’t tell you my real name. Master M is a dangerous man. You must remember. He is more than what we think. I just… wanted to make some money? I want to get out of here… out of here? This is the best time for you to learn and study. Don’t waste it. I’m always worried about you all. Don’t anger me, or I’ll make you regret it. Hey, this place is interesting. Wait, don’t run! I have something to tell you! I will give you a discount. Come and take a look. These products are really good. I’m Lolo, a student of the Magic Library. What book are you looking for? Grendel is really old, and very clean. We should clean this place up as soon as possible. Thank you for connecting to the Evolving System. This system strengthens your mind and body. It seems he’s used to me chasing him around. Tah-dah, look forward to Action Hero! Huh? Did you say you don’t know me? Come on, I know you do. I carry with me the legacy of my tribe. Oh, hi! You’re the hero who saved us in the jungle. I’m scared of the jungle and the ferocious creatures that live there! Everything begins with a question. Hence, the value of an inquisitive mind. Care for a Sweet Rice Cake? I’m a master rice cake maker with 16 years of experience under my belt! *Shriek* Blake’s coming to Kerning Square! Don’t you know Blake? He’s the hottest music star these days! His voice… his eyes… They make my knees go weak! A desk topped with books and documents. I am worried about my father. I’m Suzume Princess. I am trapped here in the Detached Palace. Haha. This is such a fun place. Isnt’ it? Don’t tell anyone I came here to play. Haha. This is the best! Hehehe! This is like a big adventure! I want some Cotton Candies. La la~ I have lots of cooking ingredients. Err, which one is salt and which one is sugar? Cooking is pretty tough. I don’t know. Have you ever seen such a nice kitty? I cannot let an unpermitted person in. I am the gatekeeper of Sakura Castle and my name is Sasuke. Thank you for visiting Gold Beach Resort. Please don’t hesitate to tell us if you need any assistance around our resort. Welcome to Gold Beach. How may I help you? Sigh… I don’t know if we can open the resort in time. Where do I get all these? Well, I’m not at my liberty to tell. Am I ordered not to? Again, I’m afraid I can’t say. Let’s see… I’ve got ample stock. Any weapon is good, depending on how well you can use it. I?m Tiron, the scout specialist. Don’t you think the cherry blossoms are beautiful? My name is Nagare. I am just a man who enjoys the beauty of cherry blossoms. I am the lord of Sakura Castle. Ask me anytime if you want to summon the Boss monster. This place is one of my brother’s better inventions. The lord’s room has been sealed. I am the gatekeeper of Sakura Castle. My name’s Daisuke. I am the lord’s loyal retainer Fuji. I am worried about the Suzume Princess. I am responsible for protecting this area. Beep. I am durable, yet aesthetically unpleasing. Beep. Tah-dah! You won’t find this wheel of fortune every day. Got Fortune Wheel Tickets? Try your luck today! Science is the light that illuminates the mysteries hidden in the world. Scientists must have a strong sense of duty, more so than other people. I’m an expert in biology. I’m actually…the prince of Big Head Kingdom. There’s no additional fee even if your head is big! Big Head Kingdom? It’s a wonderful place where the biggest head is the prettiest one. You would get along well in Big Head Kingdom. I must keep the gardens nice and tidy. Otherwise, Her Highness won’t be happy with me. To tell you the truth, I’m an enchanted pig. Surprise! I’m a countess in charge of the Bloody Queen’s gardens. You’re captivated by my beauty, just like everyone else! I want to get out of here now! Are you sure we can get out of here? I don’t want to stay here any longer! Hold on. *Sweat* My legs are too short to work this machine. I want to go back to Promessa and drink Dr. Moon’s hot cocoa. I want to go back to Promessa and play piggyback with Promete. I want to go back to Promessa and play chess with Nathanael. I want to go back to Promessa and check Edwin’s new toy. Welcome. Is there anything you want to know? I’m artfully art-cited about artifacts! You should bring me some stuff! Some ARTIFACT stuff! We’ve been invaded by hostile forces from another dimension! What do we do? This is beyond my ability. Did Idea send you? I’ve been waiting! First it was Magnus, and now we’ve gotta deal with yet another formidable enemy. I can’t believe this is happening! the place where nature and man are one in harmony. Please protect the Reclamation HQ! Edea looks after the strategy. I look after the fighting! Think before you let a crisis overtake you. That was a really long time ago. I may be a spirit, but I can still help Luminous. Spending hundreds of years alone is not so great. I mis studying alongside Luminous and Lucia. Have you seen Benjamin? I have something to tell him. Maybe he’s in #m120041200#. Don’t bother me with trivial things! Nothing is more important than money. That’s why I work for the Black Wings. That’s all there is to it. Weapons! Armor! I even have a Coin Shop! My merchant crew bros are driving me crazy! Anything you want to buy? You seem to be browsing a lot. I need to cook the priests a good meal. Hmm, what should I make for dinner tonight? I hope your news is good. It’s missing a few tubes. It’s neatly packed with tubes. I am the Trade King. Oh, do you have something to trade? Come to me if you want a deal. Nowhere else in the world is as beautiful as Gold Beach. I’m the successor of Gold Richie, the international trade tycoon! Gold Beach Resort is a dream come true. Well, save for a few minor issues. Excuse me, I’ve got some business to attend to. If you need any assistance, please ask Resort Manager Carrie. Try the Maple Mentoring System, and enjoy MapleStory to its fullest! Play together for more fun. It’s so nice out today. Sometimes, I feel so nervous. You make me feel safer. Why don’t those little monsters like me? I gotta say, I look pretty good in an apron. I’m the only teacher at Edelstein’s kindergarten… It’s a good thing too, because those little brats would devour anybody else. Do not disturb my planning. Magnus is right before our eyes. Beware! I?m working on a strategy to reclaim downtown. Please leave if you are not here on an urgent business. An easel with Rainbow Drawing hanging on it. Do you want to leave this place? Come to me if you want to leave. Wait! Don’t you think this outfit looks too scary? This castle… is hiding a dreadful secret. Master Pierre loves me the most. My master loves everything that is exciting and loud. My master is the strongest in the world! I’m Tricky, Pierre’s pet cat! My bros teach me everything they learn. I’m gonna have my own shop one day! I’m Karin, and I’m gonna be the BEST merchant. You’ll all be buying from me in no time. Do you want to return to Victoria Island? Ask me anytime if you want to return where you came from. Can you imagine how it feels to soar through the sky in your very own airplane? To get to Gold Beach Resort, head straight to your right. It hasn’t opened yet, so only the staff is there. If you have questions, feel free to ask anyone over there. Use #bGold Beach Employee Access Card#k to move directly to Gold Beach Resort. And when you get there, find Kerri. I also run the supplies! It’s okay for you to call me Harpoon! What song do you wanna hear? We’re jamming to celebrate the eight awesome years! Where are all my servants? Oh right, they all died of old-age. You, Popo! Go get some wood. Get out of here, unless you’re bringing me goodies. As a former sage, I’m a wiz with magic, but I’m afraid it will kill me. Sigh, how can I wipe out those Black Slimes? I’m so sick of Gold Beach. I better get this over with, and head back soon. You will need good armor to be safe from the crows. Come on and take a look. Anyone who wants to leave, come see me first. ????? ???? ???? ?? ??? ???..??? ?, ??! ??! ?! ??! ?~?~ ??? ??? ?? ????. Everything in this world costs something. Our merchant crew is called the Grandis Shadow. I will trade anything, anywhere, anytime. For the right pittance. I am Tonero, first champion of the Grandis Shadow. Function: An agent on a business trip needs to make a little cash on the side. I go where the organization tells me. My duty is not simply providing daily necessities. This place is so peaceful. Sometimes I forget that I’m on duty. Thank you for using our premium PC cafe. How’d you like to challenge the Monster Arena? Hello, my name is Warena. Do you have mesos? Do you have Maple Points? Feel free to talk to me if you want to trade mesos or Maple Points. Hahaha! Thank you for your help last time. Have you tried night fishing? I am Sakura Castle’s merchant, Kamedeya. I like spending time in silence. I wonder where my hero is. I’ve got lots of amazingly rare items. Visit me frequently. You just might find the item that you’ve always dreamed of! Everything in the world is based on some kind principle. We just haven’t discovered all the principles of things. I’m studying the strange phenomena happening in Maple World. See, I’m an expert in theoretical physics. I didn’t come all the way out here to have a bad time! Come back later. I’m busy. We can overcome this crisis. We’re planning to exchange Warrs for Monster Life Coins. You can collect Warrs in Monster Life! You must always be cautious when flying your airplane. Excuse me, I’ve got some business to attend to. If you need any assistance, please ask Resort Manager Kerri. You should not write on the walls. You should learn how to take care of public objects. I will become a strong warrior. My name is Hosi. Apparently, it means the star of the sky. I’ve got rare items that are only available in the darkness. On, what treasures could be inside? I will become the best Ninja ever! Certainly! I am Sai and my dream is to become a ninja. My father is the gatekeeper of Sakura Castle. Have you met him yet? I’m Fenelle, high priestess of Pantheon. I serve the ancient Nova deities. If you leave them pirates alone, they’ll just eat the boards on the floor. Their appetite is unbelievable. Kaiser’s soul remains in Grandis eternally. I pray for my successor. Do you devote yourself to the good of Grandis? I am incapable of action. I don’t want to lose to anyone. Do you have business with me? What is it? Did something happen? I don’t want to talk right now. I told you, I don’t want to talk right now! These aren’t mine, but you can have them for a price. I love a pretty lady. I am THE ancient Nova Warrior. Don?t listen to those other blowhards. I?m the best. Please don’t call me Maroon. Tempest items have blown in like the wind! Look at all these limited-time goodies! Get them while the getting?s good! I run the shop when Harpoon and Maroon are busy. I wanna sell the most! Most of our goods are made here. My name’s Akai. I’m the daughter of Kamedeya. Link 2 is in working order. The sweet and chewy Han Gwas! Just like we have Moon Bunny’s Rice Cakes, you have Han Gwas. Now I understand you guys a bit better. This year’s gonna be awesome! Like a truck full of exploding frogs on top of a unicorn made of pies! Welcome! Meet our new special items! You’ll have to see for yourself! A chance to change your life! Join the Lucky Lucky Monstery. This week’s hero is you! The Heliseum Force is here to save the day. I’m going to be the savior of the Nova! It’s true, I value knowledge, experience, and passion above all else. New technologies make me feel giddy with excitement. We have lots of great merchandise! We only accept Monster Life Coins. Miss Clara will exchange Monster Life Coins. To battle! To mode! To Battle Mode! Only the strong can keep the peace. Get tough or get out or get me a sandwich! Combined power is the only power that matters… unless you’re alone. I’m Harpoon, a Weapon Seller. *Smirk* No girl can resist me. Kerning Square… I forgot how rustic it was. Just being here makes me feel like I’m slumming it? Tempest items have struck like a bolt of lightning! Have fun in Fantastic Theme Park. You will have more fun than you could ever imagine. Hohoho. Welcome to Monster Park. Oh, right. My brother welcomed you already, didn’t he? Ho ho! I know I look nothing like my brother. Ho ho! Be careful of the flock of crows! ?, ???? ????! ?? ??????! ?? ? ? ???? ???. I never get to have fun. I wanna save the Nova too! I’m boooored. Where da fun at? Hehe. No one will find me here. I can answer your questions on the wedding hall. It may be a small wedding hall, but it’s overflowing with love! Hypnotized by Time Master Banban, the East Garden is frozen in time. Don’t let the same thing happen to you. Shush! I don’t want Imp to detect me. I can change the color of my body. I am obligated to protect the world of spirits. A world without desire is a world at peace. Nature takes its course in all cases. I’ve got a wide selection of items. Tell me if you need anything. Just gotta grit your teeth and be strong! The Evolving System is very intriguing. Have you used up all your chances to enter the Evolving System? Mystic Fields are appearing everywhere in Maple World. We must stop any threat from coming through the Mystic Fields. Good thing chicks dig scars. I won’t have to deal with battles for a while, hahaha! Wish I could at least go check on HQ. Help! The future of my Lizard tribe is threatened by Bellum! I’m Larbo, daughter of the Lizard tribe chief. What if Glimer comes after me? I think Fantastic Theme Park is a fantastic place. It would be fun to play hide-and-seek here. ?? ? ?? ??? ?? ?? ? ??? ???? ??? ??? ???. I’m a wild man, hahaha! Hey, where’s the party at? The Nova will never be shaken. I hope it’s not a big deal. Did something happen to Pantheon? Where did the others go? It would be fun to leave my name here! I should leave a mark here to say I was here. I will atone for all eternity. Maybe I could have prevented it if I made a bit more efforts. I have no regrets, even if my soul is trapped here forever. Darkness can never be summoned to this earth ever again. Those wicked Moon Bunny Thieves! They’ve robbed me of my precious Jewels. Welcome! Come see our new, special items! Words can’t describe their quality. It’s human nature to desire beauty. Your beauty blinds me… However, if you want to be even better, I’ll be glad to change you. Please break the seal and get me out of here! I can’t wait to see how much the world has changed! If you join forces with reliable comrades, then you can do this. You must eliminate the Seal Guardian to break the seal. Hey! You can’t just cut in line, kid. I don’t care how big your head is. We are handing out Fantastic Theme Park guide map. Ultra Bauss is showing up all over… How did that happen? Mystic Fields are appearing all over Maple World! Defeat the powerful enemies that emerge! Hello! Are you having a fantastic time here? I wish you have a good time here. This bundle is packed with everything I have. It’s so heavy, I thought I was going to die carrying it before I got here. I’m Kylan. I work as a priest in Pantheon. Come and visit me when you’re ill.
What can I help you with today? Want a balloon animal in the shape of your face? I am Beldar, Heliseum Council President. I?ll watch over the downtown outpost until it?s secure. Note: As usual, I am only posting the new quests that have a valid start/end time. For those who are interested in the full addition, you can see here. However, you should be aware that the file is completely unfiltered and is about 3MB of text. Note 2: Many of the below events give Season 2 coins…this includes the opening events of the new characters. More notable events are the season 2 growth events which give various things like reverse/timeless equips & Boss Raid which gives clean slate if you are the expedition master…though it involves a substantial amount of items to be gathered. Search the txt file given above for other quests reward if you are interested. What is Monster Park Extreme? Note: The Monster Park Extreme only gives 2 Tickets per day (Nerfed Version) & 1 Season 2 Coin. Gift Pang Pang! Lovely Gift Box! Note: Not confirm whether is it related to Maple Anniversary. Congratulations on reaching Lv. 30. Congratulations on reaching Lv. 50. Congratulations on reaching Lv. 70. Spin the Wheel of Fortune! [Demon Avenger] Lv. 50! A special ring for you! 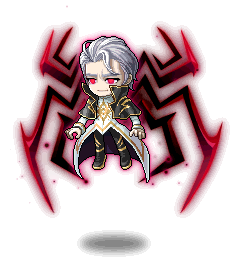 [Demon Avenger] Lv. 70! A special privilege for you! [Demon Avenger] for you who has grown! [Demon Avenger] Lv. 200 Congratulatory gift! [Xenon] Lv. 50! A special ring for you! [Xenon] Lv. 70! A special privilege for you! [Xenon] for you, who’s grown! [Xenon] Congratulations on your level-up! I will tell you how to visit the farm! [Gold Beach] Not a Native?! With a Little Help For Expedition Master. With a Little Help For Expedition Member. The voice covers for the classes are in Korean & Level 2 Link skills are also added. Posted on April 21, 2013, in Extraction, MapleSEA and tagged maplesea, season 2, tempest, unlimited, v130 extraction. Bookmark the permalink. 19 Comments. can tell me what are the changes in unlimited to bosses? if possible, you can list what specific boss you are asking. that will help me alot. Hilla now has 700m HP; Papulutus Clock now has 23m HP and they matches KMS post unlimited values along with some bosses that I checked. May i know when hyper skills release will legends be able yo be created to test hyper skills on 24 th apirl? I would like to ask 2 questions. 1. Any data about the changes of Cygnus Empress and her instructors? Which is the new 30min no heal but higher HP queen. 2. Can u help check some of phantom’s skills to confirm whether there is a nerf or not? The skills are Piercing Vision, Mile Aguilles, Priere D’Aria and Impecabble memory(cooldown between switching skills. 2. They have been nerfed. @Jonathan: I do not know. Sorry. Are the hyper skills for the legend classes included together with adventurers and resistance on 24th? I could not confirm that. Sorry. Hey Conserver, just to confirm, we are getting KMS Kaiser and KMS Luminous right?